Currently the market offers garlic produced in Poland and China. 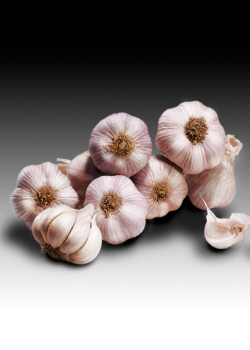 Our company offers the garlic come from the Mexican crops, which is characterized as high quality as Polish garlic. It is a natural product of the highest quality, raise in natural conditions of warm and sunny climate of Central America. Thanks to high agricultural practice obtain organic garlic, which is not subjected to genetic modification or chemical processes extend its life. Garlic come from the Mexican crop has definitely improved physical and nutritional properties compared to its Chinese competitor. Why does Mexican garlic is as good as Polish? Do not contain preservatives and is not subjected to radiation in contrast to the Chinese garlic which can be irradiated. Our garlic in conditions conducive to growth is capable of germination. In contrast, Chinese garlic, this phenomenon was not observed. It has very fragrant, natural and strong odor. Has a natural purple color distinct from the artificial light color of the Chinese white garlic. Contains more oil and pulp. The cloves are easier to peel.